The idea to reduce, re-use, and recycle is not a modern phenomenon. Over the last few years, there have been several instances in which scientists and historians have found ancient texts being written over by later generations. One interesting example came to light through analysis of a medieval document with multispectral imaging. 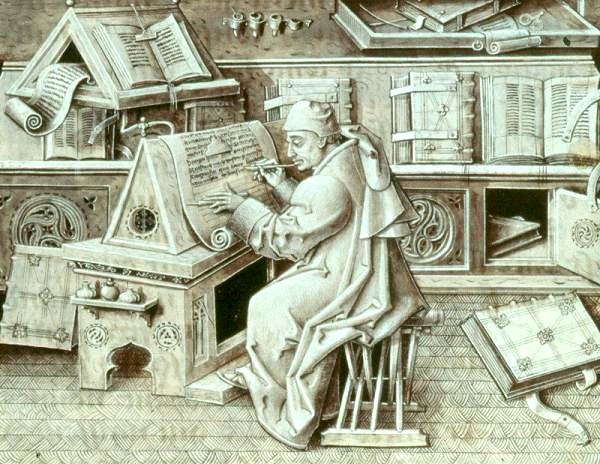 Scientists using this technology were able recover text hidden below the words from the Middle Ages. What they found provides new insight on philosophical education in late antiquity. The more recent writing in the text is the Prophetic Books of the Greek Old Testament from the 13th century. However, there are words below that - writing by the ancient Greek writer Euripides surrounded by ancient annotations, and a commentary on Aristotle by an unknown author which dates back to the 5th century. 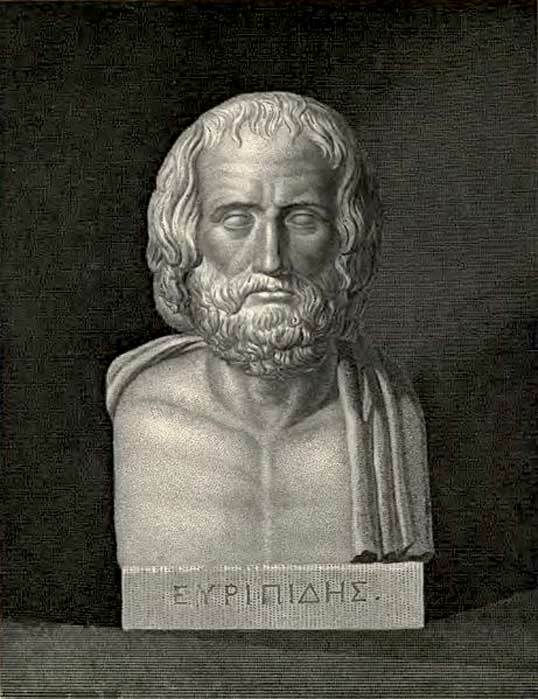 Euripides was a tragedian in classical Athens who lived between 480 – 406 BC. He wrote at least 92 plays, but only 18 or 19 have remained intact until today. His works were the basis of ancient literary education in the Hellenistic Age. In fact, some of his theatrical innovations can even be seen in modern drama; such as depicting mythical heroes as if they were ordinary people in extraordinary circumstances. During his lifetime, Euripides was compared to Socrates because both were viewed as leaders of a decadent intellectualism. Euripides’ final years differed from those of Socrates, however, as he apparently chose a voluntary exile in old age – perhaps eventually dying in Macedonia. Euripides original writings were clearly separated from the 13th century upper layer of text by a team of researchers from the Universities of Göttingen and Bologna. That section of the text is located at the library of the Greek Orthodox Patriarchate in Jerusalem. The commentary on Aristotle’s work is at the National Library of France in Paris. Collectively, this research has been called the Palamedes Project. The goal of the work has been to provide a legible form of the two important manuscripts featuring the newly discovered and unexplored Greek texts through use of the latest technology. Ancient Greek Theater: Is it a Man’s World? Read more about Ancient Greek Theater: Is it a Man’s World?